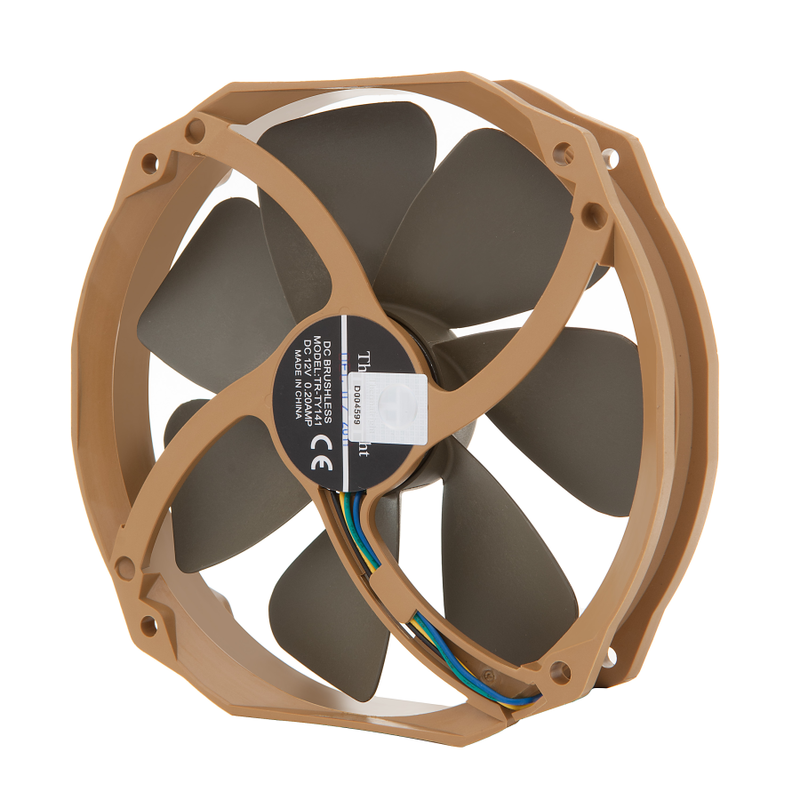 PWM fan, provides simple and easy adjustment of fan speed with the latest ETC IC . Two Ball Bearing – to ensure consistent and stable rpm, prolonged lifetime of usage. This fan is designed with PWM function, and full speed will apply when pluged into 3 pins instead of 4 pins . The TY-141 can be pluged into the 3 pin; you can tell from the jack, there is fool-proof design on the jack so wrong installation of the pins are avoided . 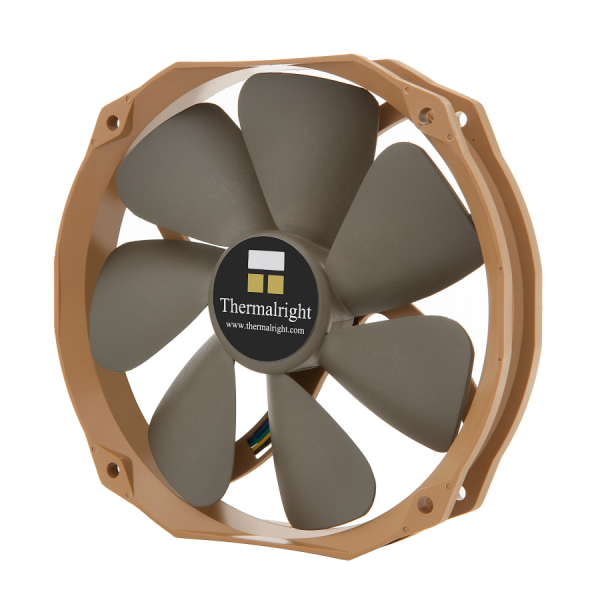 Please first refer to the Support FAQ when using your Thermalright PWM fan on your mainboard’s Chassis_Fan Socket. 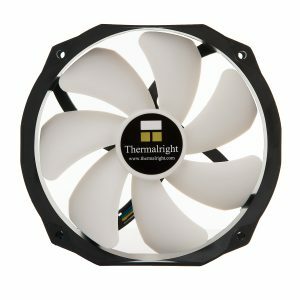 Question : If I want to use my TY-141 as a case/system fan, how should I install it on my case? Answer : The TY-14x series fan (TY-140/141/147) uses the same mounting hole form factor as 120mm fans. However, the actual frame of the TY-14x series fan is larger than a 120mm fan. So please use the following steps to confirm compatibility. 1. 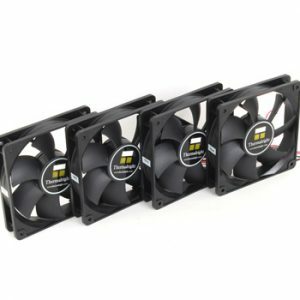 If your case already has mounting holes for 120/140mm fans, then you can mount your TY-14X fan like the following without problem. Make sure to match side A and side B according to the diagram. Install the fan with side A on the side, and side B on top. Check if you have at least 17mm of horizontal space next to the outer edge of the mounting hole. 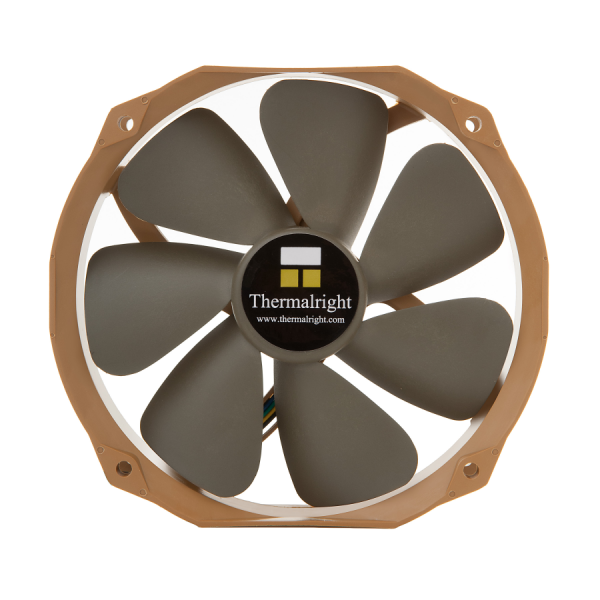 If your case has sufficient space than you can install our TY-14x series fan. Question : When I plug in my Thermalright TY-143 Fan onto my (4 Pin PWM) Chassis_Fan socket, I cannot get the TY-143 to spin at the rated 600RPM. Is this normal, or is my TY-143 faulty? Answer : There are different types of PWM sockets on the mainboard. Usually, only the CPU_Fan socket provides true PWM control. While other sockets such as a PWM Chassis_Fan socket does not use true PWM signals to control fan RPM, but does so through voltage adjustment. You will notice that under bios settings you can only adjust the RPM % of the Chassis_Fan. Using voltage adjustment you can still make fan speed (RPM) adjustment, but the level of control will not be as precise as true PWM control. 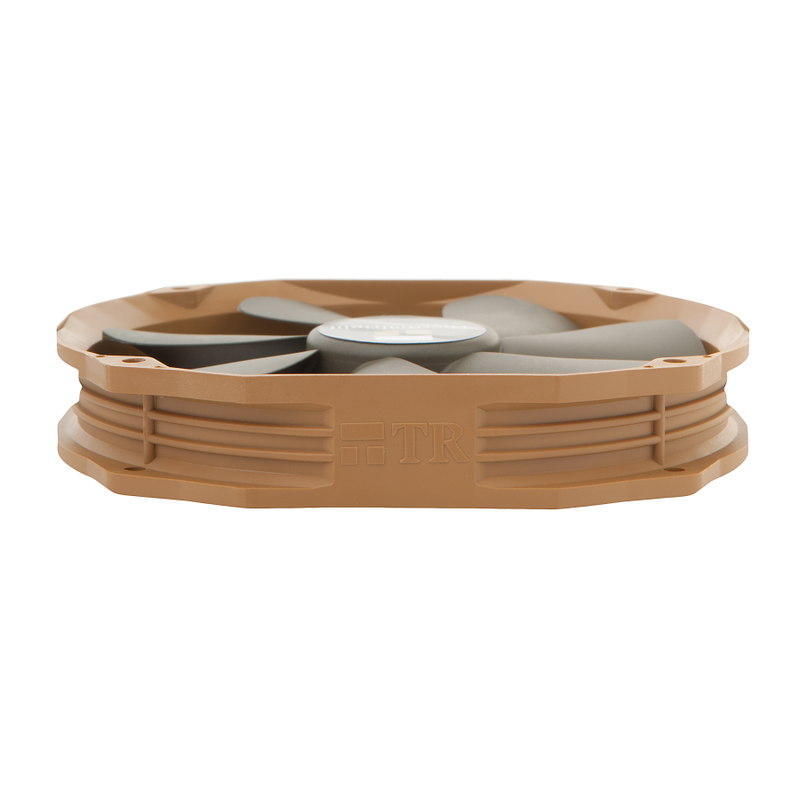 Therefore, we cannot guarantee that our PWM fans will meet the fan’s full RPM range. The supplied voltage of the Chassis_Fan socket will depend on the designs of mainboard manufacturers, as a general rule of thumb we suggest to set the Chassis_Fan at no less than 50% duty. If you need more precise setting information based on mainboard product, please feel free to write to our support form. Question : If the mainboard CPU_Fan socket and the Chassis_Fan socket uses different methods of fan speed control, how can I synchronize the same fan duty cycle for both CPU and Chassis fan? Answer : If you need to use true PWM control for both your CPU and Chassis fan, we suggest you purchase our proprietary PWM Extension Y-Cable. Using the PWM Extension Y-Cable will provide synchronized PWM control. However, using the Y-Cable on two fans with different RPM’s will cause irregular fan speed detection, because a single fan socket RPM speed sensor cannot monitor two RPM signals.